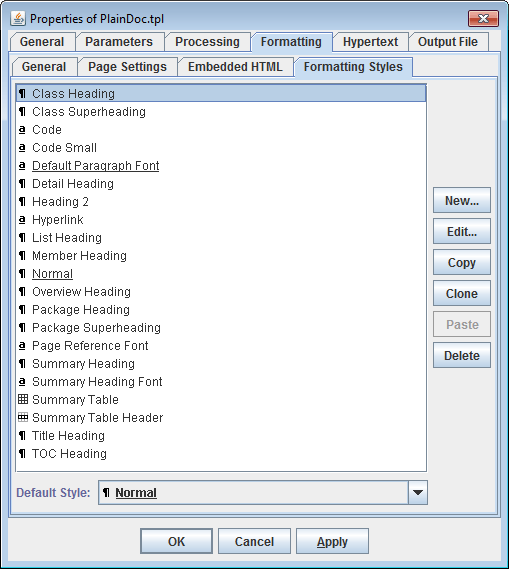 Output documents can be generated in HTML or RTF formats with the maximum support of formatting techniques provided in the both formats. At the same time, the architecture of FlexDoc and its templates allows designing templates independently on a particular destination format. The necessary format is selected just when starting the generator. All instructions and settings contained in the template will be rendered with the appropriate features of the selected output format. So, once the template has been created, it can be used to produce the best quality output documents in any format supported by the latest version of FlexDoc. TXT is a plain text output without any formatting features. It can be found useful in some applications as well. In the next version, it is planned to support the XSL-FO output generation. assigning a text font (i.e. font name and font size). In templates, a font size is specified in points. However, depending on the generator settings, the HTML documents can be generated with the fonts having either fixed or relative sizes. 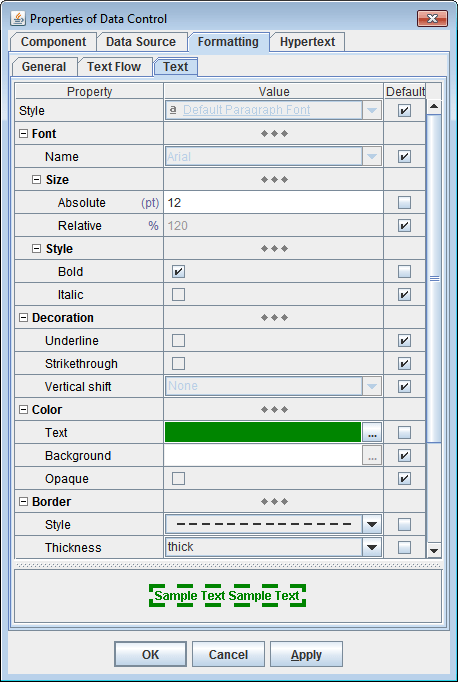 The relative font sizes are specified in percents and rendered by the browsers relatively to the base font size. HTML: CSS rules, which are possible to substitute with custom rules defined in a custom style sheet. defining page headers and footers with any content and formatting. 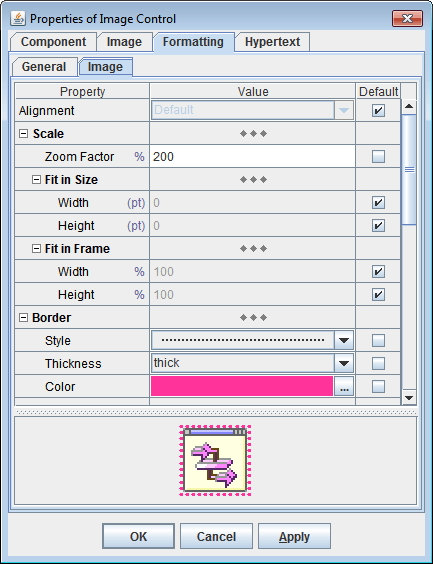 Each document template may contain a single set of page header and footer definitions. However, using subtemplate calls, it is possible to generate documents having sections with different page header/footer sets. For more information, see Call Template documentation. See also examples: FlexDoc/Javadoc | JavadocClassic | Samples | RTF demo and FlexDoc/Together | Examples. FlexDoc allows to render HTML tags inserted within the text data (for instance, the HTML formatting used in Java source comments). When such a rendering is specified, while generating of an HTML output, the HTML tags are passed as is. However, in other formats, the embedded HTML tags need to be parsed and rendered with the appropriate features supported in the given output format. FlexDoc is able to do this in the way that the output markup produced by the rendering of the embedded HTML tags is smoothly integrated with that resulted from interpreting of the formatting directly specified in template components. See FlexDoc/Javadoc | JavadocClassic | Samples | RTF demo for an example result produced by the rendering of embedded HTML.